Welcome home to the City of Bancroft with its charming, tree-lined country road entrance to this east end subdivision. Traditional 2-story brick home comes with fully equipped and recently expanded eat-in kitchen with center island and an open concept formal dining area and family room. Current owners also installed new Tigerwood flooring, a beautiful and durable hardwood. On the second floor, there is original hardwood flooring in three of the bedrooms, and a spacious master with ensuite bathroom layout that makes it comfortable for two people to accomplish their morning routine. A second full bath with double vanity will also accommodate multiple users. The large walkout basement has plenty of entertainment, work and storage space.A bonus room is currently being used as a craft room but could serve as the perfect home office. Fall in love with the breezy screened-in porch with views of the private wooded backyard retreat. The deck above provides even more room for entertaining or summer evening conversations and was built and equipped to support a hot tub. 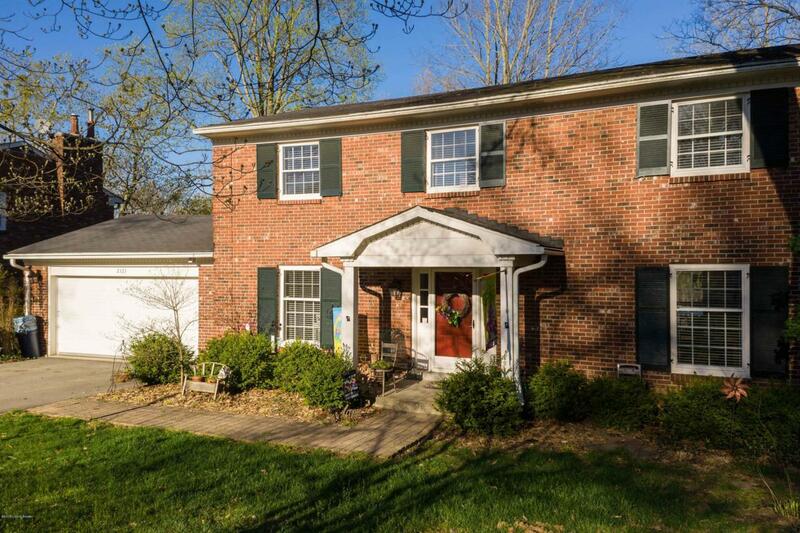 This is a great neighborhood to put down roots with your choice of award winning public, private and parochial schools, grocery, shopping and restaurants within 2 miles and easy access to 1-264 and I-265.